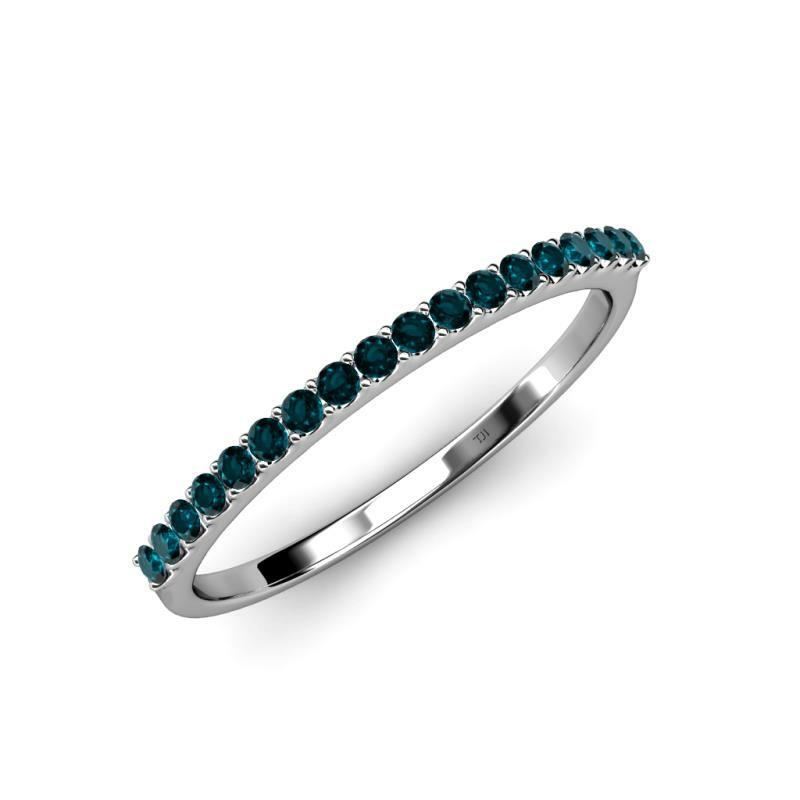 1.50 mm London Blue Topaz Wedding Band Announce your love with 0.27 cttw Wedding Band which is beautifully Prong set with 18 Round London Blue Topaz that makes it a perfect Ring for everlasting the cherishment of your special day. Condition: $543 New In stock! Order now! Order in 2:22 hrs to get it by 3rd May 2019 with Overnight Delivery Learn More. Normal processing time for this item is 4 to 5 business days before it ships and it will ship via your chosen ship method after the processing time is complete. 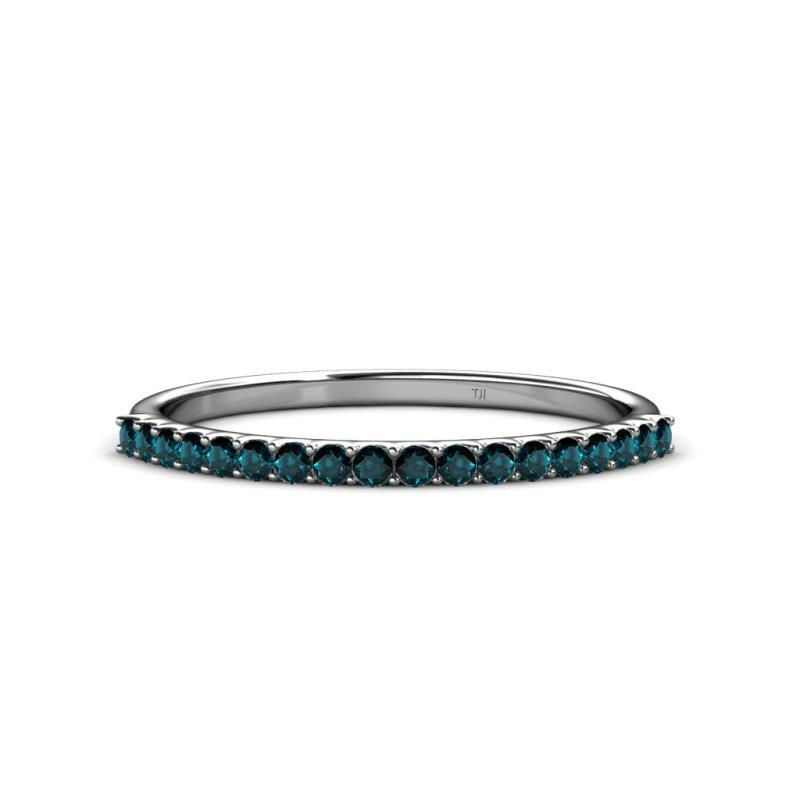 Announce your love with 0.27 cttw Wedding Band which is beautifully Prong set with 18 Round London Blue Topaz that makes it a perfect Ring for everlasting the cherishment of your special day. 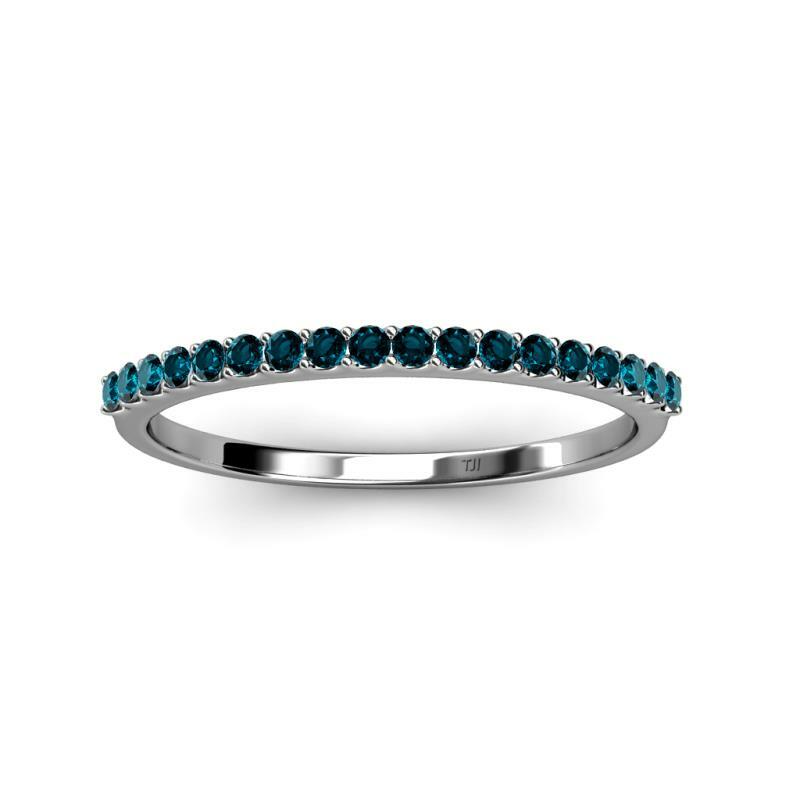 0.27 cttw London Blue Topaz Wedding Band. 18 Round London Blue Topaz set using Prong Setting. 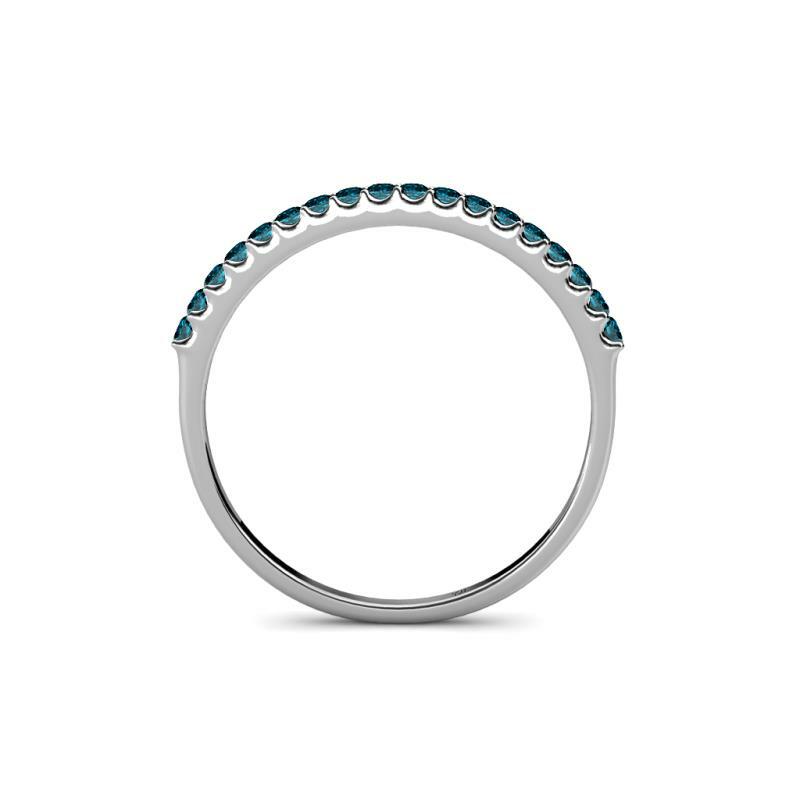 SI1-SI2-Clarity, Teal-Blue-Color London Blue Topaz. Discovered TriJewels while ring shopping on eBay. Although the ring I initially ordered was beautiful, it did not fit with my engagement ring. I had no issues returning the ring and receiving a refund, and the seller was so gracious and accommodating throughout the whole process! He invited us to visit his Manhattan location to try on rings and make something customized to my engagement ring. The final product was delicate and beautiful, and just as described. I highly recommend TriJewels! They are a “mom-and-pop” local family type business that happens to operate primarily online to lower overhead and pass the savings on to customers. I am so happy and proud to support them! We are having my fiancé’s ring made with them, too. The blue diamonds on this band are absolutely stunning. The design is unique and I have received many compliments and inquiries on where I got it. I received a call from Trijewels verifying size and engraving text. I was very pleased with customer service. I even asked to have the rose gold be more of a rose color and they did a PERFECT job! If you are contemplating getting this band, do not hesitate! Awesome company - this was my second purchase from TriJewels and the ring is once again perfect! Vijay and his team went above and beyond to expedite the order and deliver in spades. Their professionalism, customer service and product are above par. I will be a lifetime customer! Got a call to confirm order shortly after placing order. All details were validated. Ring fit perfectly and the option of yellow diamonds made my fiancée very happy. Hard to find online. Thanks for all that you guys do!! !